IDF Intelligence Directorate head speaks to closed meeting of world internal security ministers, claims terror significantly weakened. 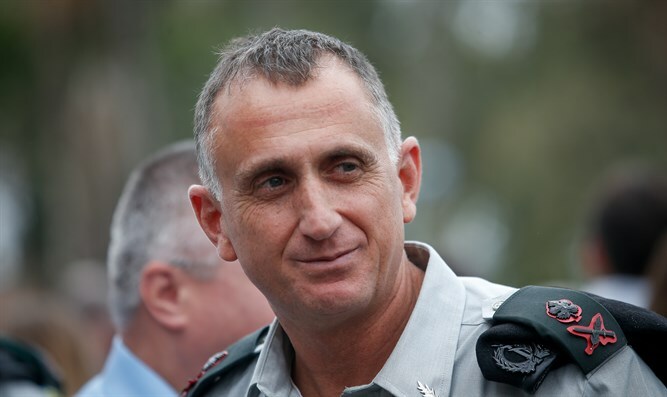 IDF Intelligence Directorate head Major General Tamir Heyman, who took office three months ago, recently spoke at a closed-door conference of interior security ministers held in Israel. In recordings from the conference published this morning on Kan Bet, Heyman says,"We live in one of the safest periods in history." In his talk, Heyman referred to incendiary kites from Gaza. "It looks romantic - a little kid flies a kite, something that seems to be from a Mary Poppins film, but the truth is different," he said. "These are terror attacks with incendiary bombs intended to harm Israel." The Military Intelligence head explained his assessment that we live in a particularly safe period and said, "In recent years, terror has declined significantly, mainly because of the successful war against ISIS." He added that most of the Islamic State organization had disappeared from Syria, but warned: "ISIS hasn't changed the agenda, they're waiting to raise their flag again." Internal Security Minister Gilad Erdan said in an interview with Kan, "I don't think the head of MI meant to say there are no terrorist threats today. It's true the number of casualties worldwide is lower than in previous years, but this has no real significance, because in every terror attack that occurs, human lives are taken."